On the hunt for some stellar wall art? We’ve got a couple of great options for you. 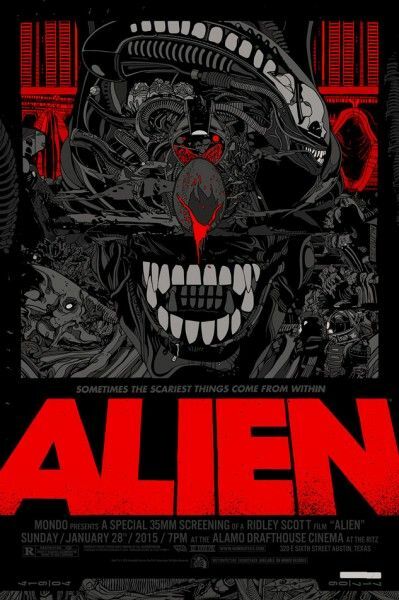 First, the fine folks at Mondo give us yet another reason to stalk their Twitter feed tomorrow. The company just unveiled Tyler Stout‘s new Alien design at a special 35mm screening of the film at the Alamo Draft House Ritz in Austin last night. 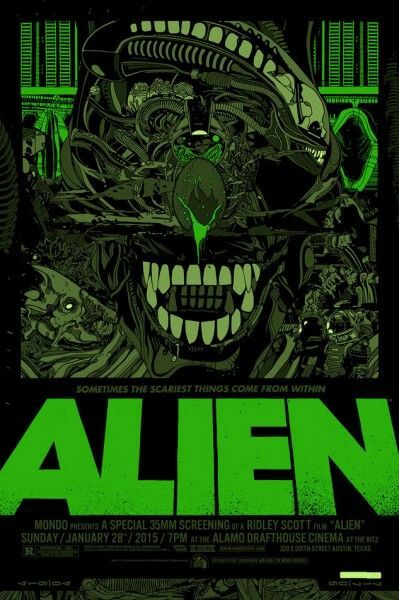 They did sell some regular prints at that event, but all of the remaining ones plus the glow in the dark variant version will be available for purchase tomorrow at some point. You know the drill with these. They go fast, so keep a close eye on @MondoNews if you want to snag one. 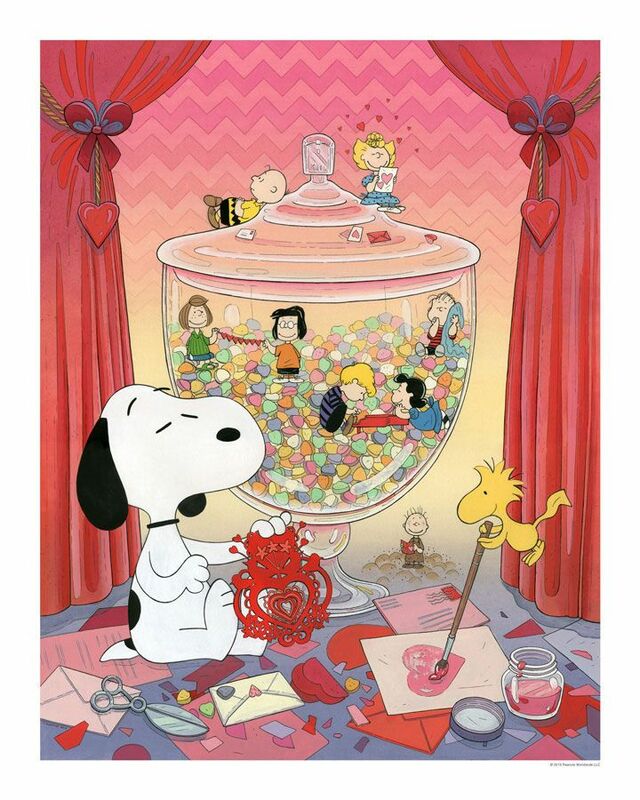 Come Friday, January 30th, you’ll have the option to purchase three different variations of “Snoopy Valentine” at the Dark Hall Mansion store. There’s a standard edition, a variant and then there’s also extremely select canvas versions as well.